October 1 is National Day in China and “golden week” is the seven-day holiday from October 1 to October 7. It is an inescapable tradition that golden week is a very busy travel time. During golden week, most Chinese people will go to the large cities and coastal cities, such as Beijing, Shanghai, Hong Kong, Qingdao, and Sanya. The southwest, west, and northeast parts of China are less crowded but still worth a visit. Here we present nine prime places with beautiful scenery that you can enjoy without the National Day crowds. The crowds during China&apos;s golden week have little impact on the fixed-number-per-ship Yangtze River cruise. However, booking the cruise during the National Day holiday week is much harder than normal, and it’s advisable to book at least two months in advance. The Yangtze River cruise is the most popular cruise in China, with beautiful natural landscapes and some places of cultural interest along the way. The ship frequently stops and you can stretch your legs to explore attractions on the river banks. 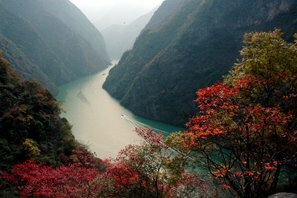 October&apos;s Yangtze River is painted by fall colors. The weather in October is quite comfortable and cool, which makes it pleasant to stand on deck surveying the scenery. The President 8 is one of the best new cruise ships. 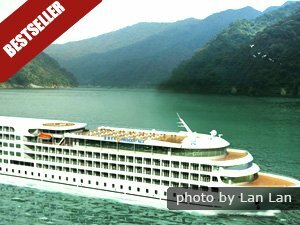 Let our tour experts help you choose from the big variety of cruise boats on the Yangtze and select places to go that you&apos;ll most appreciate. Avoiding the crowds: Tell our travel experts you want to avoid crowded attractions, and we&apos;ll try to find the best cruise for you. The newer, finer ships provide fine dining, saunas, and fitness rooms, and you can watch China sail lazily by. Xinjiang Province in west China is an ideal place to avoid bustling cities and enjoy tranquil and amazing natural scenery. It is one of the less-visited provinces in China, but the amazing nature in Xinjiang makes it a top destination for surviving and thriving away from the crowds. Baihaba Village retains its rural beauty, and there you can feel very close to nature. The fall colors in the fields, together with the houses and farms, are deeply impressive, even intoxicating. 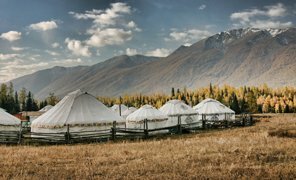 Baihaba is near the border between China and Kazakhstan, where Kazak and Mongolian people live. 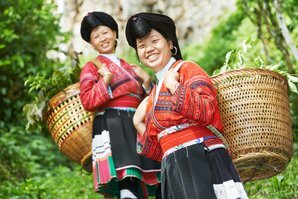 Traditional lifestyle and culture are well preserved in this village. Autumn is the most charming season in Baihaba. Seen from a distance, the neighboring mountains are blanketed with layer-upon-layer of different-colored verdant trees. Streams rush down impatiently from the mountains and between the trees. All this fabulous scenery makes you feel like you are standing in the middle of a large painting of nature, created by a phenomenal artist. If you have a craving for pure and fabulous natural scenery in China and don&apos;t want to be disturbed by crowds, Qinghai Province in the north-west may be just the place for you. The source of the Yangtze River is there and many ethnic groups live there, making it a good destination for discovering Chinese culture. Qinghai Lake is a sparking jewel in the north-west of China. Although autumn is not said to be the best time to visit the lake, the season offers a different kind of beauty well-worth seeing. The lake is quieter and more peaceful, decorated by the yellow grasslands and snow-capped mountains around. Standing on the bank you will have a wide sphere of vision. This huge lake and quiet environment can make you feel overwhelmed. Autumn is a perfect season for outdoor activities, when you can enjoy the fresh air and cool weather. 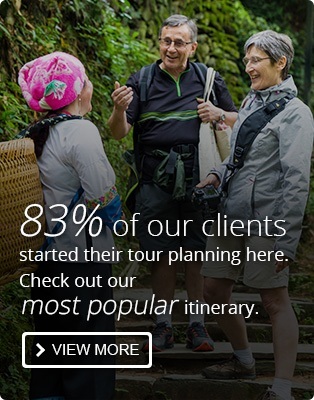 How about a hike through mountains and fields? The western part of Sichuan offers routes with stunning natural scenery and minority cultures, popular with photographers and outdoor amateurs alike. The golden fall colors in Daocheng are gorgeous, together with the pure white snowy mountains and different varieties of plant life. Daocheng is a popular stopover point on the journey to Yading, a point where you can visit and gain insight into the nature of Tibetan minority culture. Hongcaodi, Konkaling, the Xiongdeng Temple, the Bangpu Temple and the Rewu Temple are the top attractions there. In autumn, the red bushes of Hongcaodi combined with yellow foliage under the clear and pure blue sky, are believed to exhibit the colors of heaven. Temples in the mountains represent local Buddhist culture. 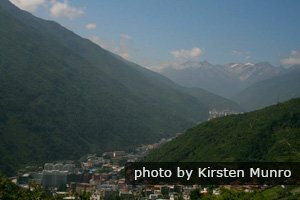 Kangding (康定 Kāngdìng) is in the mountains in western Sichuan Province. 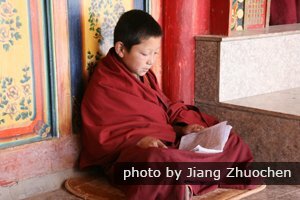 It is surrounded by epic scenery and Tibetan villages, and few Chinese vacation there. So you&apos;ll be able to enjoy the cultural blend of Chinese and Tibetan amid high altitude scenery in utter tranquility compared to Lhasa in Golden Week. Great scenery is to be seen all around as peaks reach 15,000 feet higher all around as if Kangding is nestled at the bottom of a glass. 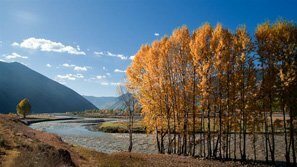 Xinduqiao: Early October is when the leaves of the trees are golden and orange in the valley with Tibetan village and a clear stream running through it. The mountain village sits at 3,300 meters and is on the highway. Shopping: As a crossroads for trade between the Tibetan highlands and Chengdu, you could bargain for a variety of Tibetan products in the markets. The Tibetan dairy products and strong teas are quite good. Transport: You can avoid the crowded trains by flying direct from Chengdu in 40 minutes. The airport is said to be the world&apos;s third highest, and it isn&apos;t open in winter. Above freezing in October: The temperature range is around 10 °C (the 40s or 50s °F). 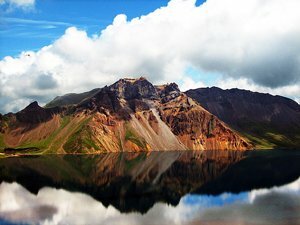 The Changbai mountains are a scenic wonderland and one of the most beautiful areas in China. They are located in Jilin Province, northeast China, and can be reached conveniently by train from Changchun (the capital of Jilin) via Tonghua. Hot springs, waterfalls, Heavenly Lake, and the nature-reserve area are the top attractions in the mountains. Among them Heavenly Lake is the most gorgeous and a must-visit place. While trekking around Heavenly Lake, you may be surprised and overwhelmed by the scenery, which is different, but equally spectacular, under different weather conditions. In autumn you can see flowers blossoming on the southern and western slopes. The mountains are a cool place for escaping the summer heat. It may even snow there from October onwards. China Highlights can help you create a tour package to visit the highlights of the northeast of China. Contact us or see our tailor-made form. 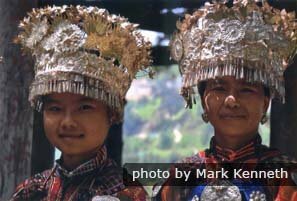 Guizhou Province is home to many of China’s minority groups, and Kaili is one of the best places to use as a base for exploring minority cultures. The Kaili Museum, its Sunday market, the villages nearby and their culture and architecture, are all worth a visit. Western customers typically have a two-day or three-day stay in Kaili. 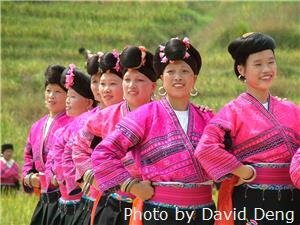 It is said of Kaili that "Grand festivals occur there every three days, while minor ones occur every day." Xishuangbanna (西双版纳 Xīshuāngbǎnnà) is still off the beaten track for both Chinese and foreign tourists. 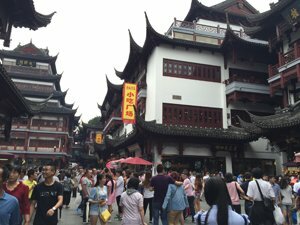 But if you are looking for a great change from the rest of China and to escape the crowds, you can enjoy this tropical area and the culture like that of Thailand. The Tropical Botanical Garden is among the attractions where you can see the huge variety of plant species they have growing there. Transport: The local airport serves planes from a handful of Chinese cities including Chengdu and Kunming. Bird watching tours make our clients happy. If you are a nature lover, our are for you! 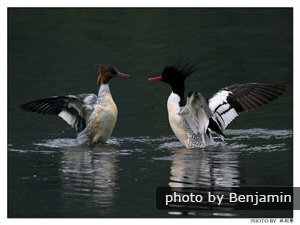 You can take great photographs while you enjoy nature with our expert birding guide near Shanghai, Wuyuan, Guilin, Nanning, Longsheng, Beihai, or Guiyang according to your choice. Going bird watching is still off the radar for Chinese tourists. Offbeat Beijing museums: If you are in the Beijing area during Golden Week and you don&apos;t want to leave the city, then you could go to these unusual museums that Chinese don&apos;t crowd into. Whether your interest is watermelons or bees, water itself or prehistoric man, one of the museums in our list of museums might interest you. Why not plan a holiday to appreciate the fall colors in rural China, or see some off-the-beaten-track destinations, and avoid the crowds? 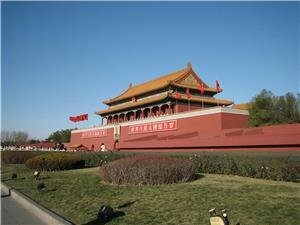 Contact us to have us tailor make your unique China tour.